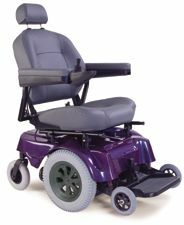 The AL 600 has arrived and is the cutting edge in scooter and wheelchair lift technology that has been long awaited. This lift is a perfect combination of an outside lift and an inside lift. This is a platform lift that loads on the outside and then lifts and pulls the scooter or electric wheelchair into the back of your van, SUV and even some station wagons. The installation is easy, with the lift utilizing your existing third row seating mounts, so no hitch, or inside drilling is needed. The compact design allows second row seating to remain in place in most applications. Lift hatch, push button on remote control, and lift platform comes out of vehicle and lowers to the ground. Drive scooter or wheelchair on lift over hitch. Push button again and the platform raises up to entry level of your vehicle. The lift continues to pull the platform into the back of your van or SUV. Close hatch and go! Fully electric, platform lift loads scooter or wheelchair on the outside and brings it inside of your vehicle. Lifting capacity of 350 lbs. 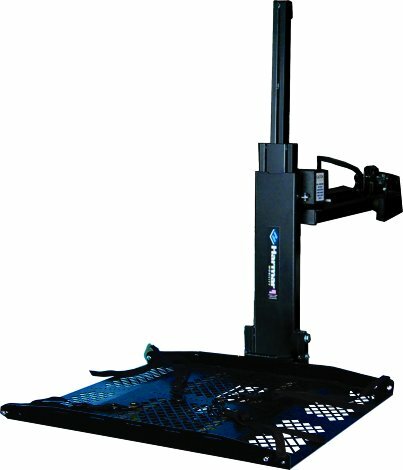 Adjustable Platform Size 28.5" x 38" to 50"
Platform dead space 5.5" max.